Our Thistle Semi Dress Sporran is made in Scotland by the World’s #1 Sporran Maker. 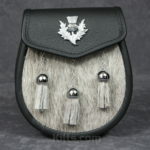 The sporran features a detailed thistle on the flap of the sporran. 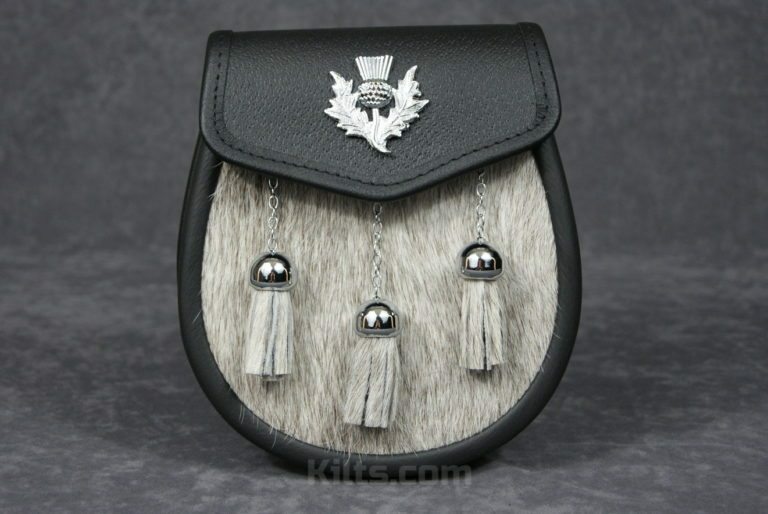 There is an internal pocket in the sporran to allow you to store your possessions while you wear the kilt. A sporran chain also comes with this sporran, which can be adjusted to fit men of all sizes. 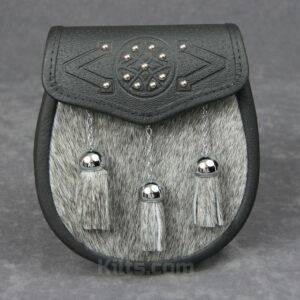 Please Note: The color of the bovine fur on the front of the sporran maybe slightly darker or lighter. 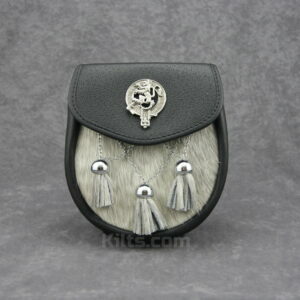 – Product Dimensions of 8″ high X 7.25″ wide X 2.75″ deep.